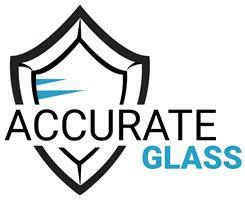 Accurate Glass is a family run business which myself (Maxine) and my husband (Barry) started together in 1998.Barry has over 30 yrs experience in glazing and I am usually the voice at the end of the phone and general glazier / labourer when needed ! We pride ourselves in our work and as a husband and wife team we put all of of energy into giving the best service that we can to our customers. We work together out on site and also in house with our glass project's and designs. We specialise in all types of glass and glazing . We can solve small issues from window's not shutting properly to installing a glass balustrade on a flat roof. In fact anything to do with glass,window's or doors ! No job is too small but we also love a challenge with larger specialist works..